Gian Michele Calvi is Professor at the IUSS Pavia, Italy, and Adjunct Professor at the North Carolina State University. He received a Master of Science from the University of California, Berkeley, a PhD from the Politecnico di Milano and a Honorary Doctorate from the University of Cujo, Mendoza, Argentina. He has been the founder of the Eucentre Foundation and of the ROSE School; he has been a member of the Board of Directors of the GEM Foundation and is one of the Directors of the International Association of Earthquake Engineering. He is author of hundreds of publications and of two major books: Seismic design and retrofit of bridges (with M.J.N. Priestley and F. Seible, 1996) and Displacement-Based Seismic Design of Structures (with M.J.N. Priestley and M.J. Kowalsky, 2007). He has been designer, consultant or checker for hundreds of structural projects, including the Rion-Antirion cable stayed bridge (2883 m, in Greece), the Bolu viaduct (119 spans, in Turkey) and the new housing system after L’Aquila earthquake (2009), with 185 buildings seismically isolated with more than 7,000 devices, completed in about six months. 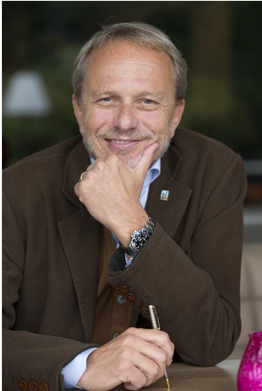 He is associate editor of the Journal of Earthquake Engineering (Taylor and Francis) and editor of Progettazione Sismica (IUSS Press, Pavia), a journal in Italian addressed to practitioners. He has been invited keynote speakers in tens of conferences, including two World and four European Conferences on Earthquake Engineering. He has been always active in conceptual innovation in seismic design, focusing on masonry in his early days, on bridges, displacement–based design and seismic isolation from the nineties. Abstract : Earthquake have caused thousands of casualties and billions of losses. As a reaction, the earthquake engineering community has developed approaches to predict the response of bare structures (as opposite to complete constructions) and codes of practice considering a single “life safety” performance objective, assumed to be associated with the structural collapse prevention. Recently, the perception of different performance levels’ pertinence on total losses following an earthquake has become increasingly relevant and numerous developments on the convolution of hazard-vulnerability-exposure-risk followed to give a framework to quantify and manage seismic risk. However, most developments have tried to correct old approaches, based on questionable assumptions, failing to produce consistent and effective procedures. a) A rational definition of earthquake action demand. As many assumptions on ground motion demands are based on few records from over 50 years ago, it seems logical to consider the plethora of digital records today available. b) A re-visitation of the connections between construction response parameters during earthquakes and resulting global losses by considering damage to both structural and non-structural elements, effects of down time, loss of competitiveness and societal impact. c) A consequent revision of seismic design philosophy and methods using the above two point’s outputs. In the past, these moved from a strength–acceleration comparison, followed by a ductility demand–capacity check, to displacement–based approaches. A simpler and clearer approach to mitigate economic impact and protect lives during seismic events. 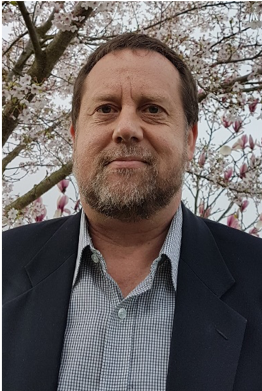 Gregory MacRae received his Ph.D. from the University of Canterbury, Christchurch, in 1989 for his work on the seismic response of steel frames. He worked at the Public Works Research Institute (PWRI) in Tsukuba, Japan, for 2 years and then he worked at the University of California, San Diego where he was involved with the early PRESSS projects, the development of displacement based design, as well as bridge retrofit. In 1994 he joined the University of Washington, Seattle. During his time there he was involved with a wide range of topics related to the seismic performance of structures, and to the behavior of steel structures. In 2005, he returned to the University of Canterbury where he teaches undergraduate and postgraduate classes. His research efforts concentrate on low-damage construction, decision support tools regarding hazards (including loss assessment), steel structures, and structural dynamics. At the University of Canterbury he is the Head of the Structures cluster. Gregory MacRae is the author of a number of journal papers, other papers, contributions to books and project reports. He has also given more than 40 invited/keynote talks in various countries. Results from his studies have been incorporated in design guidelines around the world and have specifically influenced the construction of millions of dollars worth of buildings in New Zealand, Japan and the USA. Amongst other activities, he has been an associate editor for the American Society of Civil Engineering (ASCE) Journal of Structural Engineering, been a member of the NZ structural steel design code committee, chaired the American Society of Civil Engineers (ASCE) Seismic Effects Committee, established the Earthquake Clearinghouse after the Canterbury Earthquake. He has been a director of the board of the World Seismic Safety Initiative (WSSI) and is now a senior advisor to the board. 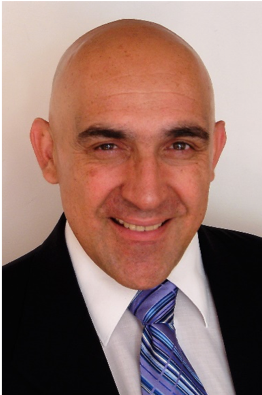 Dr. Carlos Ventura is a Civil Engineer with specializations in structural dynamics and earthquake engineering. He has been a faculty member of the Department of Civil Engineering at the University of British Columbia (UBC) in Canada since 1992. He is currently the Director of the Earthquake Engineering Research Facility (EERF) at UBC, and is the author of more than 500 papers and reports on earthquake engineering, structural dynamics and modal testing. Dr. Ventura has conducted research about earthquakes and structural dynamics for more than thirty years. Three of his most significant contributions in recent years are the development and implementation of performance-based design methods for seismic retrofit of low-rise school buildings, a unique seismic structural health monitoring program for bridges in BC, known as the BCSIMS project, and the first network-based earthquake early warning system for schools and public institutions in BC. These projects have contributed in a very significant manner to the seismic risk reduction efforts in BC. In addition to his academic activities, Dr. Ventura is a recognized international consultant on structural vibrations and safety of large Civil Engineering structures. The quality of his research work has been recognized by several national and international awards, as well as being appointed as member of the Canadian Academy of Engineering and of the Engineering Institute of Canada, and Fellow of Engineers Canada. He is also a member of several national and international professional societies, advisory committees and several building and bridge code committees. Abstract : The damage caused by large subduction earthquakes is due in part to high number of load reversal cycles. Experimental and analytical studies indicate that shaking duration and number of cycles contribute to the damage. Furthermore, in recent years, the strong ground motion subduction records database has significantly expanded, mostly as a consequence of the latest subduction events in Chile and Japan. Engineers are facing many challenges in dealing with these particular records, mainly associated to methods for selection and scaling of the motions to use as input for dynamic structural analysis. One of the aspects which has not been thoroughly investigated is the link between strong motions observations from recordings and their relationship with the observed damage. This is particularly evident from field observations of damage to structures in the vicinity of sites with strong motion instruments during the Chile 2010 El Maule and the Japan 2011 Tohoku earthquakes. The data acquired at some of these sites showed very significant levels of intensity and duration of ground shaking, yet the damage observed in the area was insignificant and not what was expected, while there was significant damage at other sites with lower levels of ground shaking. This presentation will discuss the results of recent investigations on how to correlate damage with ground motions shaking and duration from subduction earthquakes. It will also investigate how shaking duration affects the response of buildings, with emphasis on concrete and wood frame buildings in British Columbia, which is located in the Cascadia Subduction Zone. Fragility curves for collapse due to subduction ground motion will be compared with those from shorter duration events in order to illustrate how the probability of collapse is affected by long duration shaking for different structural systems.